Where Did The Seeds Go? A seed-themed picture book with a unique perspective. We often find seeds in many incredible places. How do they get to these places? In this book, Mi Mi introduces us to various "travel" means of plants , such as the dandelion "parachute" and the "spray" of melons. 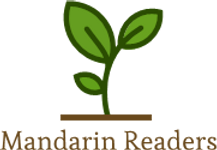 The text is fascinating with a rich content based on nature and science, helping little children learn the seeds of various plants and learning about seeds dispersal for future germination. Go out for an exploration in nature and bring this book along for more observation and discussion! Magic Hole : Where Is My Home? Magic Hole : Where Is My Mummy?